Garrett and Carson go stargazing with Bradley Cooper and Lady Gaga in A Star is Born. 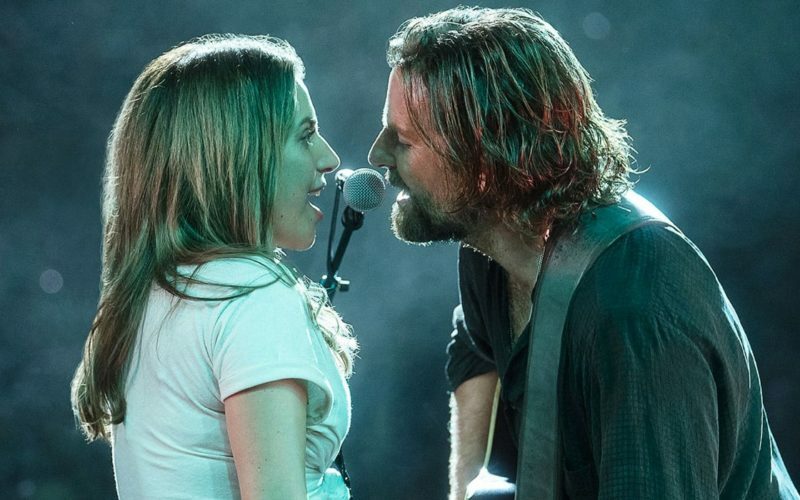 The fourth remake of A Star is Born gave Lady Gaga her first big screen leading role. Bradley Cooper’s directorial debut will probably encourage him to try it again soon. They both appeared to be seasoned veterans at their new undertakings. The original music throughout makes it very hard to forget this movie as it will be stuck in your head for days. Sprinkle in a little Sam Elliot and you got yourself a winning recipe. The academy will undoubtedly take notice. Cooper and Lady Gaga have great on-screen chemistry and their story starts off pretty perfectly. The first act of A Star is Born could rival any other in 2018. All of the character’s relationships were developed organically and never forced. There are times you want to be fed more backstory, but you are often left hanging. The performances of Andrew Dice Clay and Dave Chappelle will be overlooked by most, but these two previously AWOL comics surprisingly held their own in dramatic roles. I half-expected Pauly Shore to show up at the end and earn a best supporting actor nomination. Unfortunately, there is no Pauly, but you do get Lady Gaga stealing the show. Not only as a singer, but as a charismatic actress as well. Be warned, the emotional roller coaster ride A Star is Born takes you on could give you whiplash. Have you ever thought about what your favorite chocolate chip cookie is? It can be a fairly tough question because, in the end, all chocolate chip cookies are pretty similar in terms of ingredients and how they’re made. The same can be said of indie drama movies. They usually have a pretty similar feel to them and hit a lot of the same beats. But just like you know a great chocolate chip cookie when you have one, you know a great indie drama when you watch one. Hearts Beat Loud certainly does not break any new ground, but it is a great indie drama nonetheless. 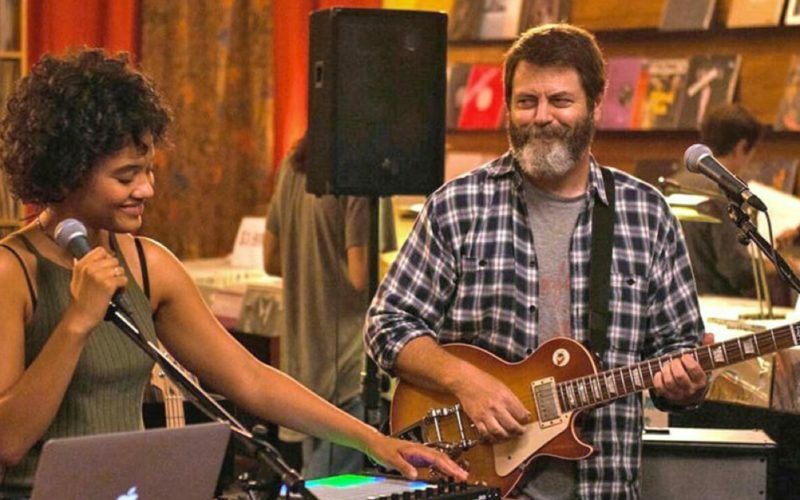 The pairing of anti-Ron Swanson Nick Offerman (Frank) and Kiersey Clemons (Sam) are the heart and soul of this movie. Whether they’re on screen together giving us a window into the relationship between a widowed father and a college-bound daughter or they’re given their own scenes to explore their respective character’s growth as a middle-aged man and a young woman, both actors give performances that feel subdued, yet poignant. The true magic in Hearts Beat Loud’s greatness is the music. Not just in terms of listening enjoyment (very high), but how the music is woven into the story. Music is the means by which Frank makes a living via his record store. At the same time, it represents his dream of becoming a famous musician that he was never quite able to obtain. For Sam, it represents something she’s immensely talented at but has set aside for the practicality of becoming a doctor and earning money for her family. Together, music is what bridges their relationship and as the movie unfolds, brings them closer as a family. Every note and every lyric in this film has meaning to the characters. 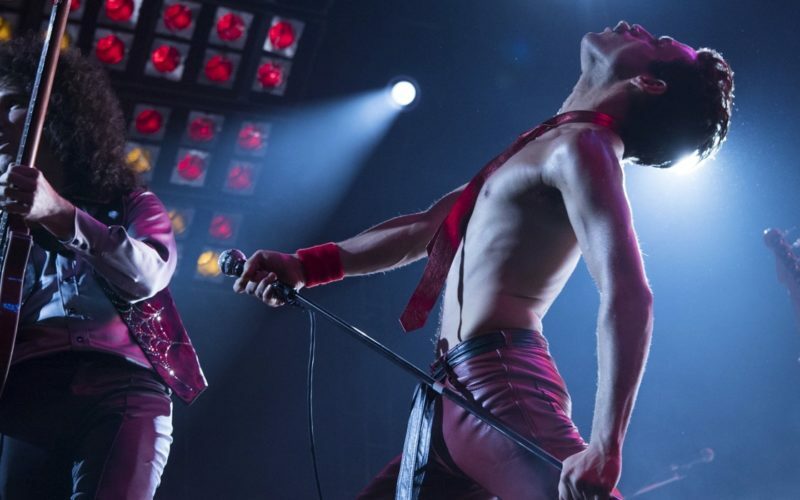 For the audience, the music adds another layer of exploration into the hearts and minds of Frank and Sam. Hearts Beat Loud is full of charm. It may make you cry, but it will definitely make you smile and probably leave you humming a few tunes afterward.